Australia's conservative minority government suffered a damaging political defeat Tuesday, becoming the first administration in nearly a century to lose a vote on major legislation and sparking calls for a snap election. Despite a bruising and highly personal lobbying effort, Prime Minister Scott Morrison was defeated by MPs who insisted refugees held in offshore facilities have the right to be transferred to Australia for medical treatment. It is the first time in decades that an Australian government has lost a vote on a substantive piece of legislation, sparking applause and cheers from observers in the parliamentary viewing gallery in Canberra. Morrison lost his parliamentary majority last year and has been relying on crossbenchers to keep control of the lower House of Representatives. But the 75-74 vote - which came on the first sitting day of parliament this year - in favour of the refugee bill opposed by the government is a blow to the already embattled prime minister and raised questions about whether he can remain in office. When the sitting government last lost a vote on substantive legislation in 1929, then prime minister Stanley Bruce immediately called an election, and lost it. The government of prime minister Arthur Fadden lost a symbolic budget vote in 1941 and immediately resigned. 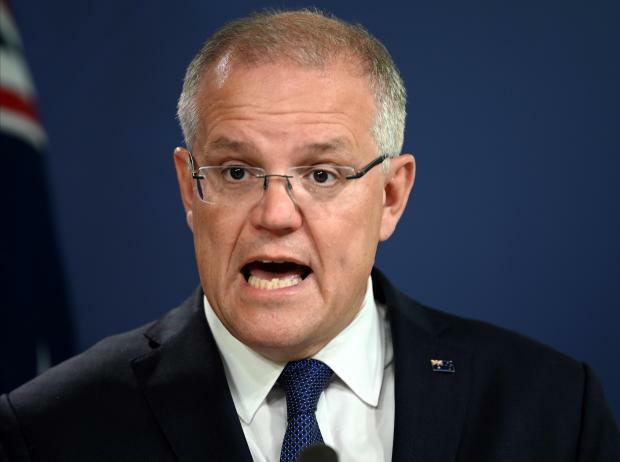 Morrison ruled out calling a snap election, saying the vote was not a no-confidence motion in his government and he was still planning for a national poll in May. "These are not matters that go to issues of confidence and I don't consider them in those terms," Morrison told reporters in Canberra. Many of the independent MPs have indicated they want the government to serve its full term, which ends in May. The bill, which is an amendment to government legislation, was first passed by the upper house in December, and will return to the Senate for a vote on Wednesday after several changes were made to it. It is expected to pass as the coalition does not have the numbers in the upper house to block it. The push to speed up medical evacuations was first made by independent MP Kerryn Phelps last year after she won the Liberal Party stronghold of Wentworth when former PM Malcolm Turnbull was ousted in a party coup. Since then, the government had lurched from crisis to crisis, and a disastrous showing in elections in Victoria state intensified expectations it is heading for defeat in May. The vote in favour of the bill came amid growing concern about the wellbeing of asylum-seekers sent to Nauru and Papua New Guinea, with reports of abuse, suicide and lengthy detention periods. Under a harsh policy meant to deter asylum-seekers from reaching Australia by boat, Canberra sends arrivals to the camps for processing and barred them from resettling in Australia. Rights groups praised the vote, with the Human Rights Law Centre calling it a "watershed moment in refugee politics and Australian history".